Unreal Engine now completely free! It's been an amazing year for Unreal Engine 4. We've grown a lot, we've learned a lot, and with your help and feedback, made the engine easier to use and more powerful than ever. 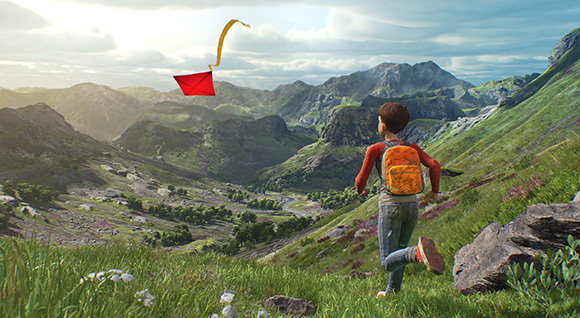 Now we're making Unreal Engine 4 freely available to developers everywhere. Before we do, we wanted to say a sincere thanks to those of you who've been with us all along the way. We're humbled by your energy, enthusiasm, and the incredible stuff you're doing with the engine. And because of you, we're motivated to work even harder so that together, we can all create great things that inspire and shape the future of the medium that we love. If you have paid for a subscription on or after January 30th, you will receive a pro-rated refund for your latest month's payment after March 12th. You'll continue to receive all future updates for free. And, because you were a paying subscriber, we're also giving you a gift of $30 that you can spend in the Marketplace now or save for a future use. So, yeah... Unreal Engine no longer has a monthly subscription cost! And existing subscribers all get a $30 marketplace credit. Seriously Unreal folks, you guys rock!